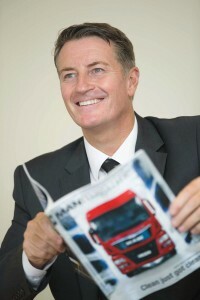 Simon Elliott has been appointed as MD of MAN Truck & Bus UK Ltd. He takes over on 8 September, following the decision last month of former MD, Des Evans, to stand down due to ill health. For the past three years, Simon has served as MD, Volkswagen Group Ireland, being responsible for Volkswagen Cars and Commercial Vehicles as well as Audi, Skoda and SEAT. During this period the group increased its passenger car market share to 27%, making VW the number one selling car brand in Ireland and increasing the light commercial vehicle market share to 25%. Prior to this, he was MD of Volkswagen Commercial Vehicles in the UK and has also held various senior roles with Daimler Chrysler and Toyota.